Lane Kiffin is like a cockroach. So many times he has taken a step that you were sure would be the last of his professional career, yet every time he pops up and funds new life somewhere. It hasn't always been a smooth path, though, and you certainly can't argue that the career of a guy that has coached USC and the Raiders is on an upward trajectory still now that he is at Florida Atlantic. You can be relatively sure of two things that now that Kiffin is in charge - Florida Atlantic football will be a lot less boring than it has been, and sooner or later things aren't likely to end well with Kiffin. They never do. The good news for this new coaching staff is that there is really nowhere to go but up. This team was really bad last year, so it is no surprise that they made a coaching change. They started out by beating Southern Illinois, which proves nothing. Then a four-TD loss at Miami started a seven-game losing streak. They righted the ship temporarily with wins at Rice and against UTEP, but then it was right back overboard as they lost to Old Dominion and then capped the season with a 77-56 beatdown at Middle Tennessee. So they wound up 3-9 overall and 2-6 in C-USA play, which was tied for worst in the conference with Marshall and Rice. UTEP was also 2-6 in conference play but won one more nonconference game. The offense wasn't great by any means, but it was the defense, which ranked 124th in the country in yards allowed, that really sabotaged the proceedings. We obviously start with the coaching staff here. Kiffin, remarkably, just turned 42 - a lot of life has been lived in those years. He's looking to reclaim his career, and so is offensive coordinator Kendal Briles, tainted by association and blood by the scandal at Baylor. The offense returns a lot of players - though that might not be a good thing given how underwhelming they are. They had solid running backs, and they return. So do a lot of offensive linemen with some experience - as many as eight. And they return a quarterback and every key pass catcher aside from the starting tight end. So, they have a lot of experience, but don't for a second make the mistake of thinking that they will look like they did last year. Kiffin has done a lot of work with recruiting already. For starters, he has brought in De'Andre Johnson, the former blue chip Florida State QB recruit who was booted from that school for punching a woman in a bar and was recently seen featured prominently on "Last Chance U" on Netflix. He also added a former Florida receiver and one formerly from Texas. Kiffin is willing to take risks with guys to get better in a hurry, and there is a good chance it will pay off with a dramatically better passing game this year. The defense wasn't good last year, and it got worse as the season progressed because there was a real lack of depth. There were only three players who really stood out, and the good news is that two are back - linebackers Azeez Al-Shaair and Nate Ozdemir. Kiffin needed to add depth in a hurry to try to compete defensively, and again he has relied heavily on transfers and the JUCO ranks. Among the bigger names are former Florida State linebacker Kain Daub, former Pitt DT Jeremiah Taleni, and defensive end Tim Bonner, another "Last Chance U" alum who started out at Louisville. Kiffin needs his personnel risks to pay off, and he needs his brother Chris to shine in his first opportunity as a defensive coordinator, but there is a fairly good chance that this team will be dramatically improved on defense as well. Kiffin certainly doesn't get to ease into things. He starts off hosting a tough Navy team that will be a challenge for a team with so many new faces to prepare for. Then he travels to Wisconsin for a game that will likely go very badly for the Owls. But then things ease up dramatically as they face Bethune-Cookman and Buffalo to round out nonconference play. And in the conference portion of the season they never have to play two road games in a row, so things should be at least potentially manageable. There is one game that is absolutely unwinnable, but the good news for the squad is that if they are any good at all then there are likely at least six or seven in which they have at least a coin flip of a chance or better of winning. It could certainly be worse. 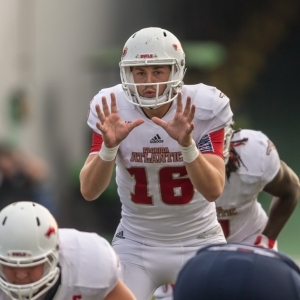 At +2000, BetOnline has Florida Atlantic as the seventh choice to win Conference USA, far behind heavy favorites Western Kentucky at -140. For a team as underwhelming as the Owls were last year, seventh in a 14-team league is a pretty flattering place to be. It's all but impossible to judge if there is any value there, though, until we see them play. Bowl eligibility is in play. Kiffin is a flake and a moron, but he has learned a thing or two in his years, and he has been able to get some results in some spots. With the upgrade in talent and the change in atmosphere he will get players doing more than they did last year. If he does make a bowl game - and right here it says I think that he will - then he will have done a pretty fine job.